The assemblage of solitary ascidians in rocky subtidal habitats of the San Juan Islands, Washington, USA, is dominated numerically by a few species of stolidobranchs: Pyura haustor, Halocynthia igaboja, Cnemidocarpa finmarkiensis and Boltenia villosa. Several phlebobranch species occur abundantly only on floating docks and/or muddy bottoms, where they co-occur with P. haustor and other stolidobranchs. These patterns of abundance correlate with feeding preferences and distributional patterns of the predatory snail Fusitriton oregonensis, which occurs only in rocky subtidal sites, prefers ascidians over other invertebrates as prey and prefers phlebobranchs over stolidobranchs. With the exception of B. villosa, stolidobranchs commonly co-occuring with the snail in the rocky subtidal are not eaten. 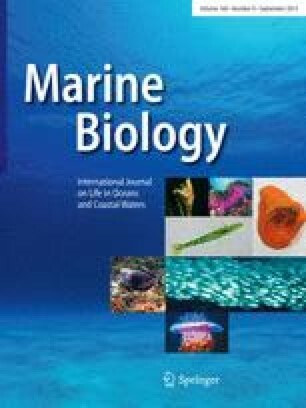 Transplants of phlebobranchs from docks to rocky subtidal sites and transplants of F. oregonensis into established dock communities suggest that predation by the snail may largely explain the observed patterns of absolute and relative abundance.